New Wide Strap sandal in Honey oiled with a natural super high heel and bronze buckles. 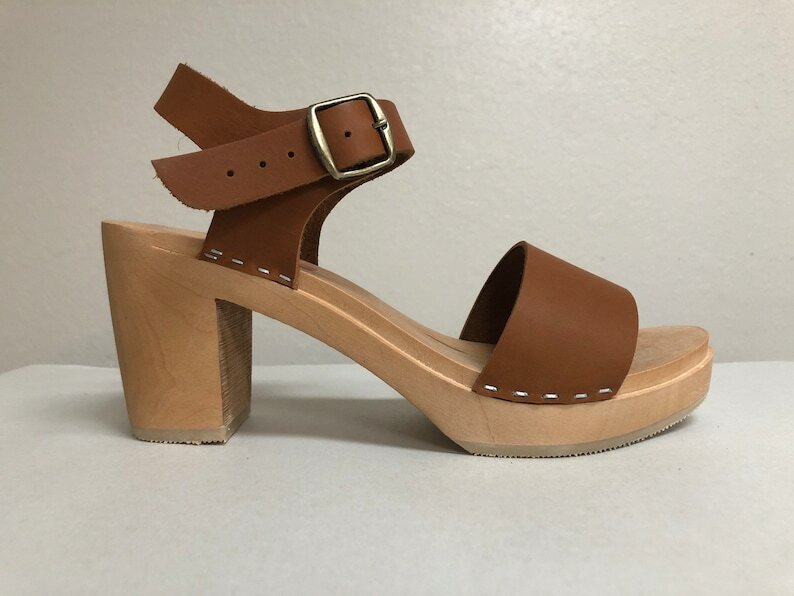 with a buckled ankle strap. I am obsessed with my new clogs! They are so much more comfortable than I imagined. Can't wait to wear them all summer long!